A lot has happened in the year and a half since we last caught up with McMullen founder/shop owner Sherri McMullen. The mama to Frederick (now nearly 3!) 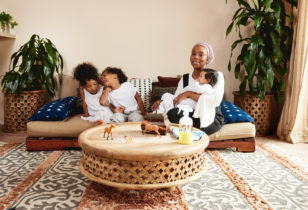 has gotten a firmer grip on this thing called motherhood, while also expanding her decade-old business (she just opened the doors to a new and improved McMullen shop in Oakland and launched e-commerce) and becoming a street-style staple during Fashion Weeks around the globe. 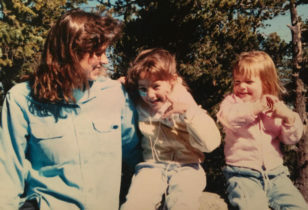 Below, we asked the inspiring mama to break down her current Mother Essentials for us. Rose Noir, $250, Neiman Marcus. Monterey Bay Aquarium Tickets, $29.95 for kids, $49.95 for adults, Monterey Bay Aquarium. Art Easel, $85, Pottery Barn Kids. La Croix Sparkling Water, Grapefruit, 8 Pack, $14.87, Amazon. Lunchbots Bento Cinco, $39.99, Amazon. Lunchbots Tiny Leak Proof Dips Condiment Containers, Set of 3, $27.99, Amazon. Beautifying Face Oil, $78, Tata Harper. Artkive Book, starting at $39, Artkive. Ulla Johnson Primrose Dress, $725, McMullen. Ulla Johnson Jerri Boot, $950, McMullen. Tibi Oversized Trench with Belt, $695, McMullen. Ariel Gordon Imperial Disc Necklace, $1,425, McMullen. Nutcracker Tickets, starting at $92, San Francisco Ballet. Alameda Antique Fair, every first Sunday of the month. 110-Minute Signature Massage, $370, Nob Hill Spa. Kokkari Estiatorio, 200 Jackson Street, San Francisco. For more on Sherri, check out her 2017 Mother profile, Instagram feed, and website. 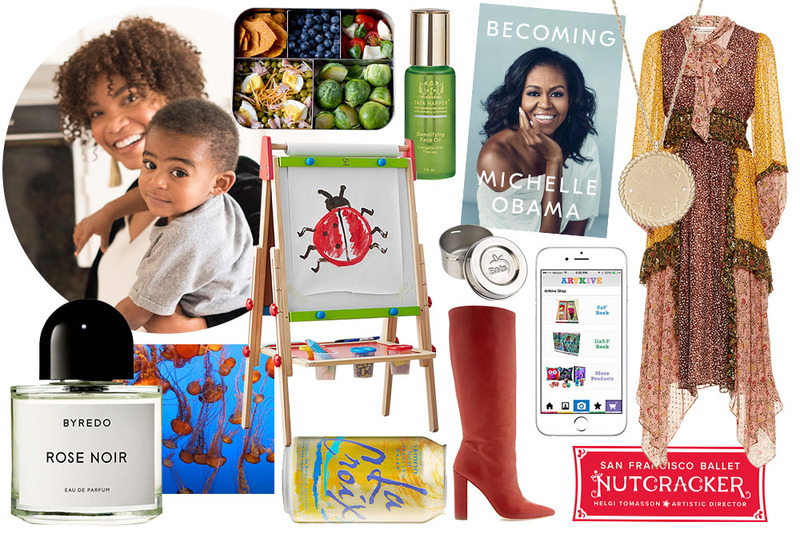 And for more Mother Essentials, peep our past columns with PR pro Priscilla Vega, Courtney Klein of Storq, Joanne Encarnacion, LaTonya Yvette, Morgan Walker of Make.do, Jeanne Chan of Harlow & Grey, and more.